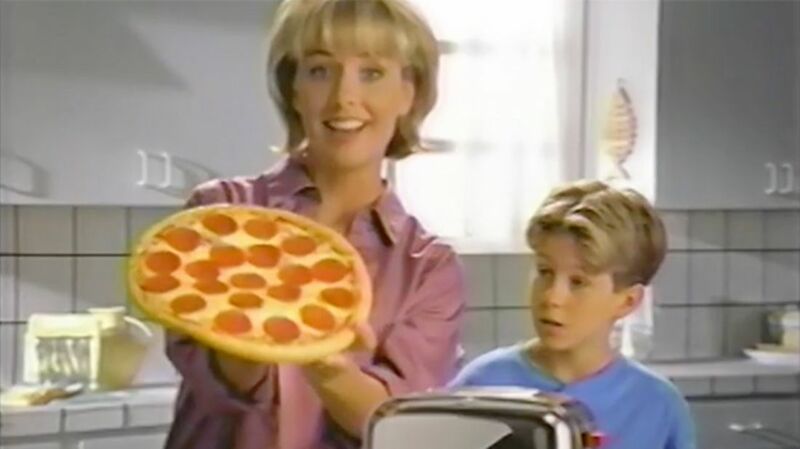 In the waning years of the second millennium, a technology so transformational—so profound in its deep weirdness—came to my attention, and it came to me via a simple television advertisement, asking the question: "Want pizza from your toaster?" Having spent many years subsisting on pizza that came from literally every other appliance in my kitchen—oven, toaster oven, microwave, and fridge—something in me just snapped. No, I do not want pizza from my toaster. My toaster is the one place I do not want pizza from. My toaster is for toast...and maybe pastries that come out of a box. Cross this line and we may no longer call ourselves a civilization; pizza does not come from toasters. Toaster ovens, sure, that's delicious. But come on. When every device can create pizza (just as every device can now browse the web, including every box attached to my TV), we have reached Peak Pizza.